As the new MD of Skillsoft EMEA, I’m thrilled that my first blog post gives me the chance to talk about some of the exciting events taking place over the next few weeks. 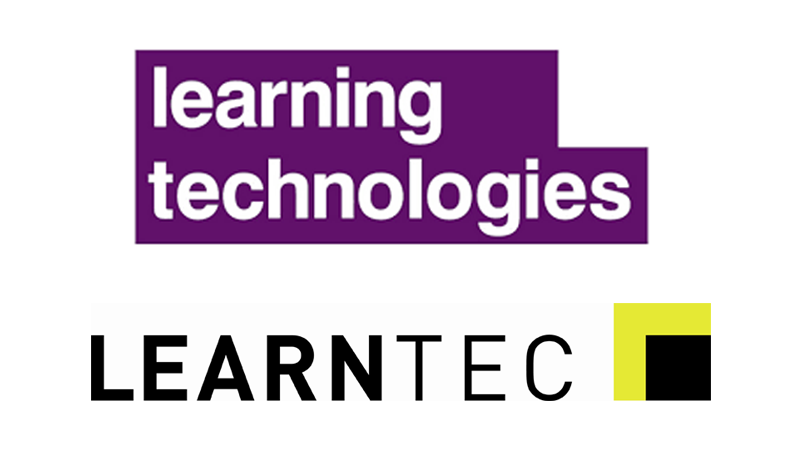 To begin, there is the Learning Technologies conference and exhibition, which is Europe’s leading showcase of organisational learning and the technology used to support learning at work, and the place to be if you have any connection to L&D. This year’s conference promises even more to see and do because not only is it the biggest show in the learning sector, it is also the best attended and the fastest growing. And it’s a big year for us too. Both Skillsoft and SumTotal have undergone significant change and growth over the past few years and now is a great time to let us share with you our story and our journey. Stop by Stand B6 to hear about our new products, services and the chance to demo Percipio, our Intelligent Learning platform that just won the Brandon Hall Groups’ Gold for Best Advance in Learning Management Technology and the 2017 New Product of the Year from BIG Awards for Business. Percipio offers a unique learning experience, contains over 50,000 micro-learning assets and has a search mechanism that is continuously refined based on a combination of keyword matching and user behaviour. It really is something special that needs to be seen and experienced. We’ll also be involved with a number of sessions at the event. If you’re still a little unsure on the Apprenticeship Levy then join Nicola Luke, an independent apprenticeship consultant and Anna Shaw, Customer Success Consultant Manager, Skillsoft on Wednesday. They will explain in detail what the Apprenticeship Levy is, the way it will be collected, the options available to your organisation and how to integrate apprenticeship opportunities within your workforce. They will also cover how best-in-class organisations are utilising the apprenticeship levy and the ways in which Skillsoft can support your apprentices. On Thursday, Npower’s Head of Learning Andy Hurren will share the story of how they implemented self-directed learning at their organisation, their successes and the challenges they encountered and will talk about how L&D can support such efforts. He’ll also outline his top tips for encouraging employees to get involved in self-directed learning. Also on Thursday, Sue Hawke, Global Learning Technologies, Senior Manager and Suzanne Hamblion, LMS Adviser, both from Linklaters, will be participating in a panel discussion on learning systems. This session covers everything from how to implement new systems and software to reach large numbers of geographically dispersed people and yet engage them enthusiastically. The group will also touch on how to use a Learning Management System to drive digital learning and provide information regarding managing rapid implementations against a backdrop of organisational change. But it isn’t just London and Learning Technologies where you can catch Skillsoft, SumTotal and Percipio. We are also going to LearnTec in Germany, another comprehensive and exciting showcase of all that digital education has to offer. Packed with over 280 exhibitors from a myriad of countries, LearnTec is unique as it provides a real deep insight into the technology behind eLearning and how technology is exponentially changing the learning landscape. Skillsoft and SumTotal will be at Stand D11 in Hall 1. At Skillsoft we’ve just launched Digital Transformation Fundamentals For Business, a comprehensive course series that will ensure organisations successfully navigate the digital transition and includes over 40 new courses covering a myriad of topics from data science to digital marketing and communications. Our Digital Skills programmes ensure learners have the skills needed to keep agile in today’s workforce. Stop by Stand D11 in Hall 1 for a demo of the new content. This is the ideal opportunity to meet our Skillsoft and SumTotal customers and I’m looking forward to meeting you all!